October 10. A meeting between His Holiness, Patriarch Kirill, of Moscow and All Russia and Olav Tveit, General Secretary of the World Council of Churches, took place in Moscow. During the meeting with the general secretary, the Primate of the Russian Orthodox Church expressed his concern about the situation of Orthodox Christians, members of the Moscow Patriarchate, in Ukraine. “We have a list of such very harsh events, when churches are seized and people are harassed for the only reason that they are members of our Church. The number of such events continues to increase. 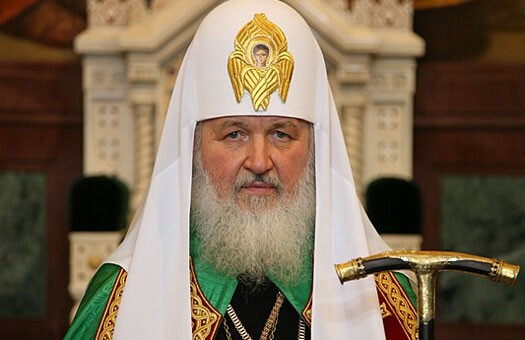 Therefore, I would like to ask the World Council of Churches, which is concerned over human rights and religious freedom, to think over the situation in Ukraine,” His Holiness Patriarch Kirill mentioned during the meeting with the general secretary of the World Council of Churches (WCC) on Friday. Interfax, a Russian news agency, reported that Patriarch Kirill stressed that the Russian Orthodox Church understands the necessity of relating any peace-making efforts to the demand for justice, “because peace without justice is very fragile”. “That is why lately I have been addressing our Ukraine members telling them that true peace can only come to Ukraine if justice has been achieved. It is extremely crucial to eliminate linguistic, ethnic and religious discrimination,” the Patriarch noted. The Pravmir.com reminds that the Moscow Patriarchate became the member of the World Council of Churches in 1961. The WCC unites over 350 Orthodox, Protestant, Anglican and other Churches in over than 110 countries.